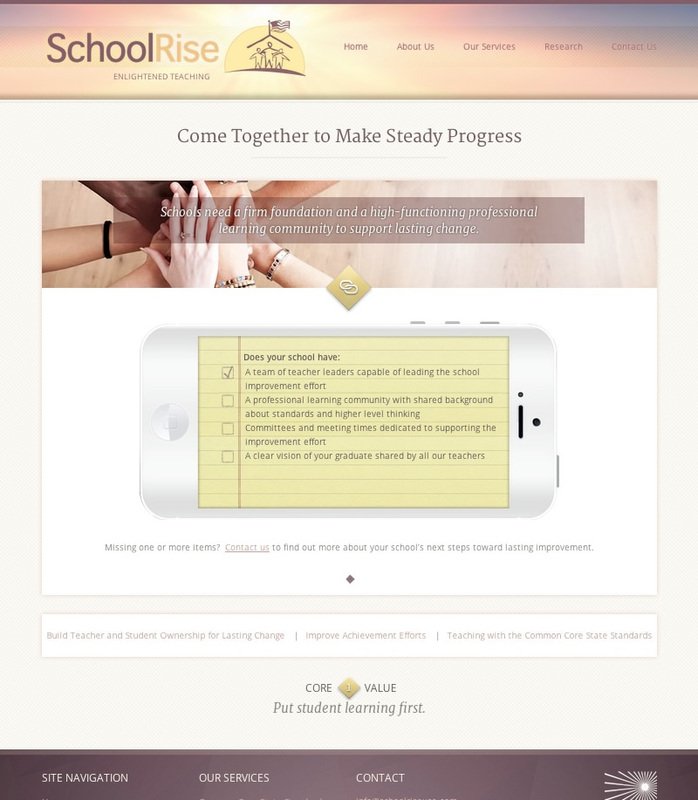 SchoolRise USA contacted me to help them with a redesign of their existing site. 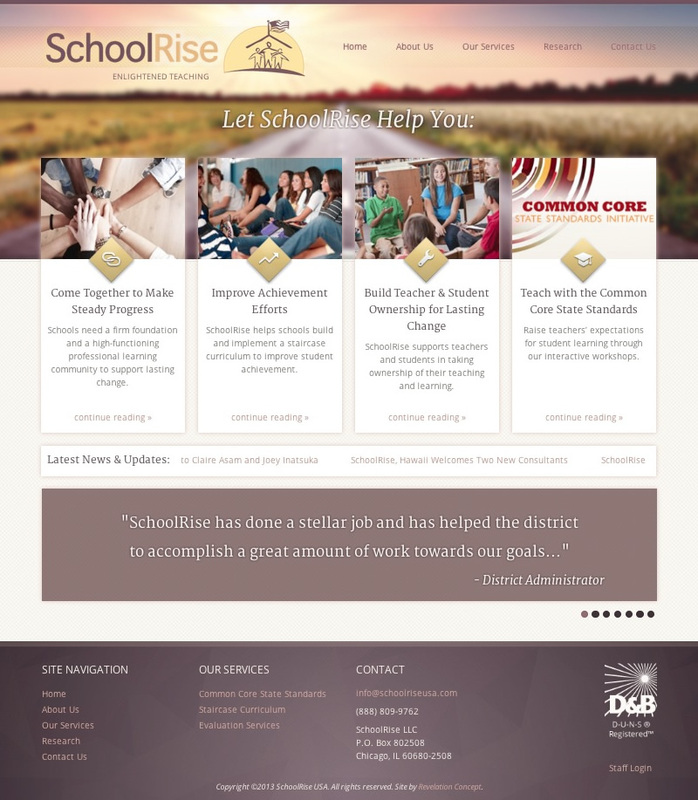 We kept their original color scheme, but in order to freshen up and modernize their branding, we softened their colors into more muted hues. 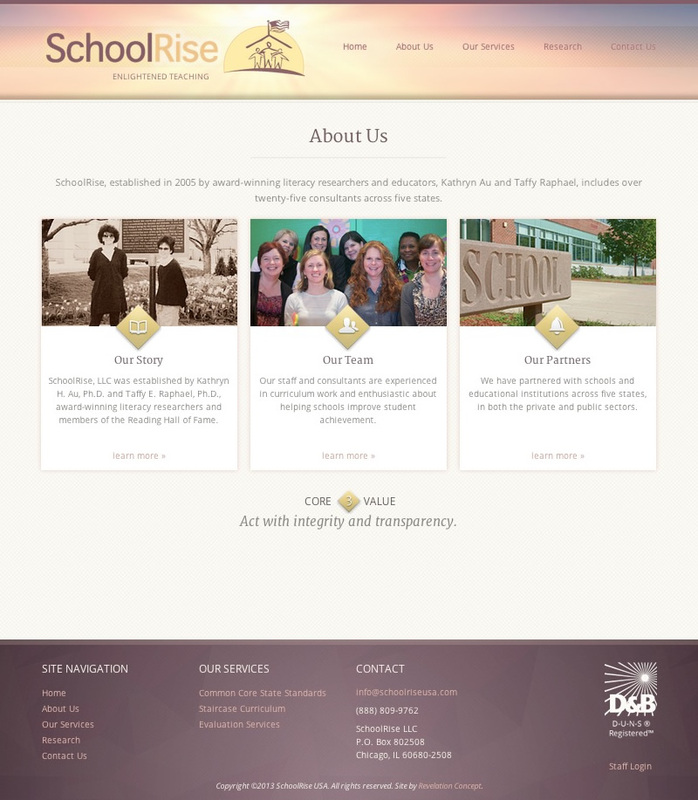 I built SchoolRise USA a hand coded (HTML5/CSS3/PHP) custom WordPress theme. They have full control of their content, down to the smallest detail: like their custom diamond icons. I put a strong emphasis on making this control panel easy to use since there will be multiple team members maintaining the site.